In January Michigan freshman Democrat Rashida Tlaib invited radical Jew-hater and Hezbollah supporter Abbas Hamideh to her swearing in ceremony in Michigan. Rashida Tlaib is one of the first members of Congress to support the Boycott, Divestment and Sanctions (BDS) campaign against Israel. 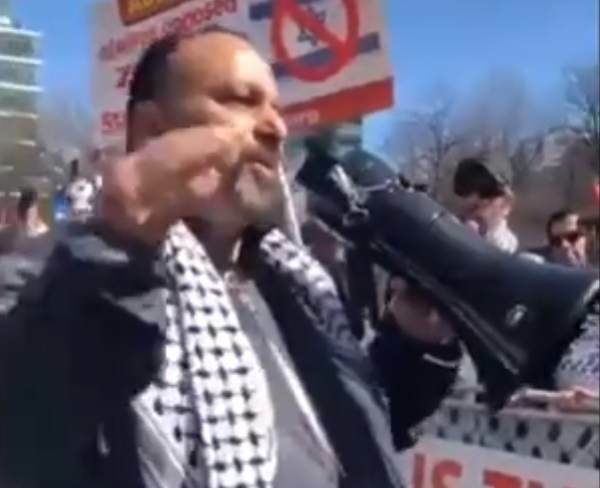 This week Abbas Hamedeh was recorded on video comparing Jews to “Nazis” outside of the AIPAC conference in Washington DC. This is the same radical Jew-hater who was invited to Rashida Tlaib’s swearing in ceremony in January. Rep Tlaib: "how dare u call me an anti-semite i am the opposite"